The article addresses adult teeth and not milk or baby teeth. A knocked-out tooth also known as an avulsed tooth is a tooth that has been removed entirely from the bone socket, including the root. A chipped tooth should not be confused with a knocked-out tooth. Milk or baby teeth (deciduous teeth) should not be reinserted if they have been accidentally knocked out, to reduce the chance of infection or damage to the permanent teeth below. If the knocked-out adult tooth has been replaced back into the socket within 30 minutes, then the chance of the tooth surviving is greatly enhanced. Current literature doesn’t favour the replaced teeth avulsed for more than 30 minutes, as the vital cells on the outside of the root surface will not likely regenerate, resulting in an infection and rejection of the tooth by the body. At the scene of the accident, if possible, the knocked-out tooth should be reinserted back into the socket as soon as possible, and the patient should see the dentist within 30 minutes. The tooth can often be placed into the correct position and be splinted to the adjacent teeth for several weeks by the dentist, with time being of the essence. If the knocked-out tooth cannot be replaced, it can be temporarily stored in milk, or in the mouth against the cheek. The future or prognosis for the tooth is not guarded after replanting and endodontic therapy or future extraction may be required. After reimplanting the knocked-out tooth, the patient should visit their dentist regularly to monitor the condition of the tooth. What Can Be Done If The Reimplanting Requires Extraction? 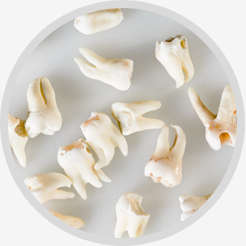 If the previously knocked-out tooth does not re-establish itself in the mouth, and must be removed, options of partial dentures, bridge and crowns can be explored. 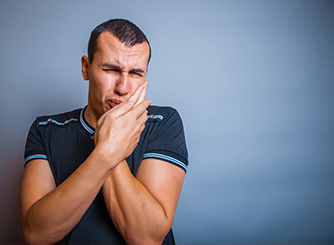 Often in an accident, treatment for injuries to other parts of the body take precedence, and it is often not possible for reimplantation to be performed within 30 minutes in the situation of a knocked-out tooth.